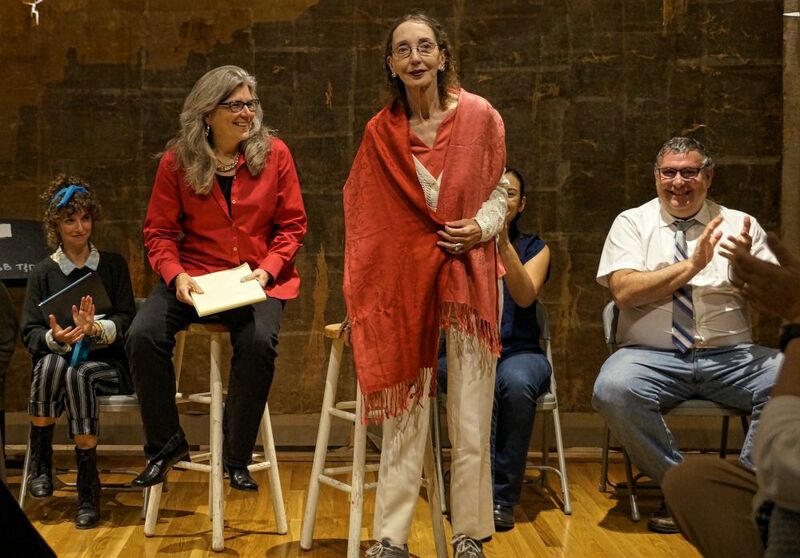 Joyce Carol Oates, standing, acknowledges the audience after a public reading of her play, “Bad Touch.” At left is director Risa Brainin. 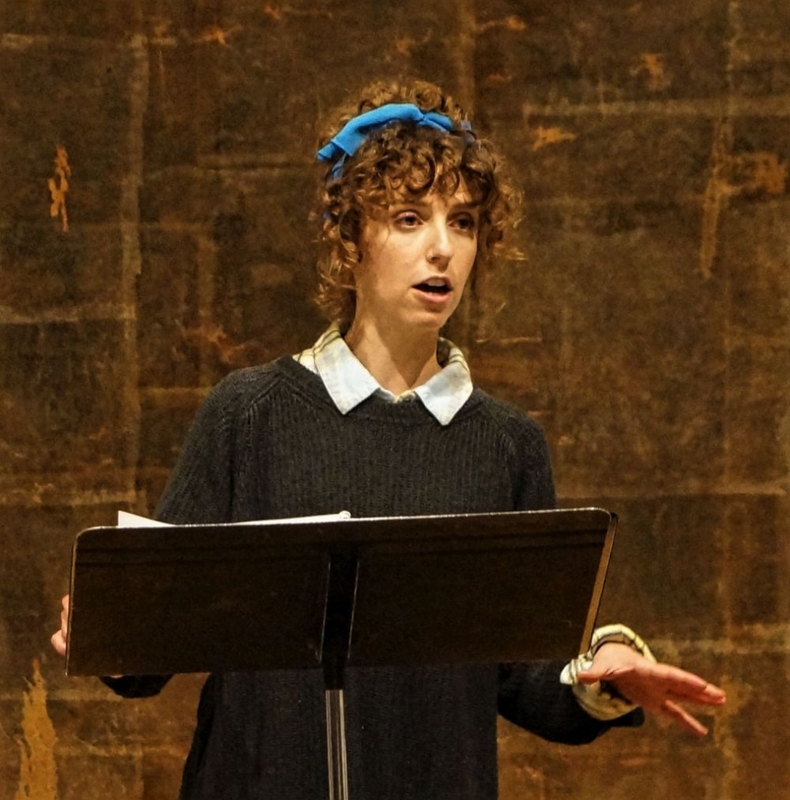 Jessie Sherman performs the lead role of Hypathia Applebaum. Eric Jorgensen and Jessie Sherman read from an early scene. 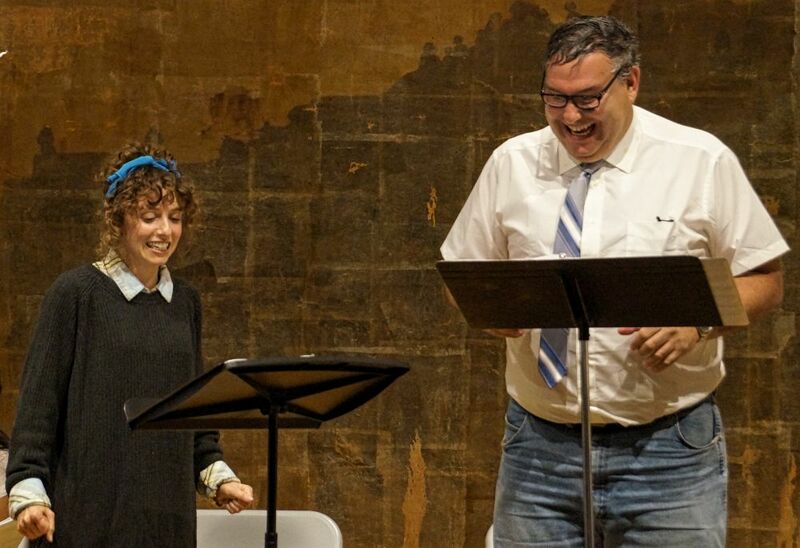 Jessie Sherman and Irwin Appel, as school principal Gordon Pollack, perform a scene. Rena Heinrich, as Ernestine Harvey, teaches Hypathia to shoot at a gun range. 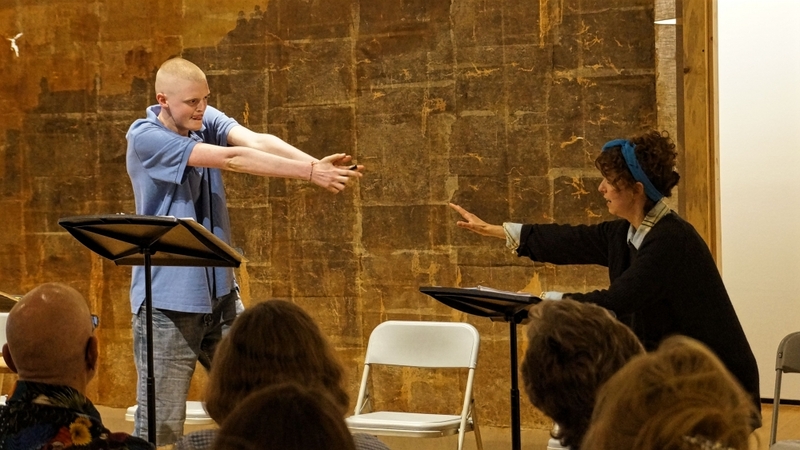 Ezra Raider-Roth, as Micah Eaton, performs in a pivotal scene with Jessie Sherman. Cordelia Watson as Mrs. Eaton. UC Santa Barbara’s Risa Brainin is about to have a dream come true, and the community will be one of its biggest beneficiaries. 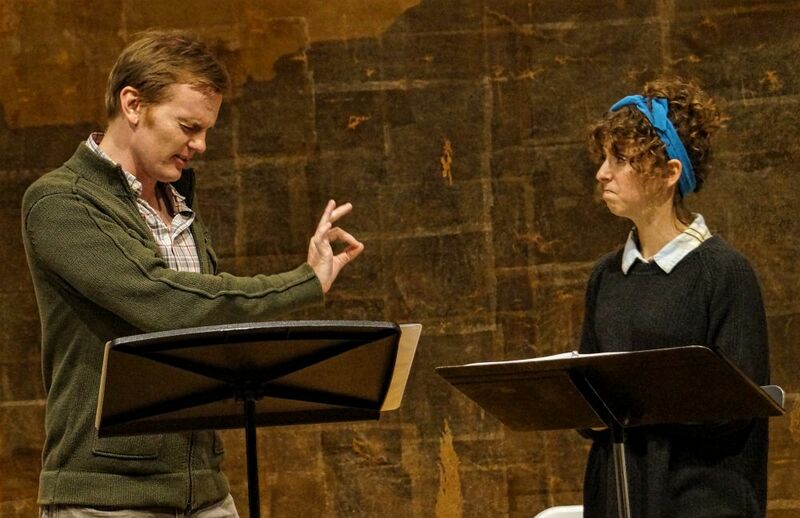 Brainin, professor and chair of the Department of Theater and Dance, will collaborate with Joyce Carol Oates, one of the country’s greatest literary figures, to produce a public reading of Oates’s play “Bad Touch” Thursday, July 7, at 7 p.m. in the UCSB Art, Design & Architecture Museum. 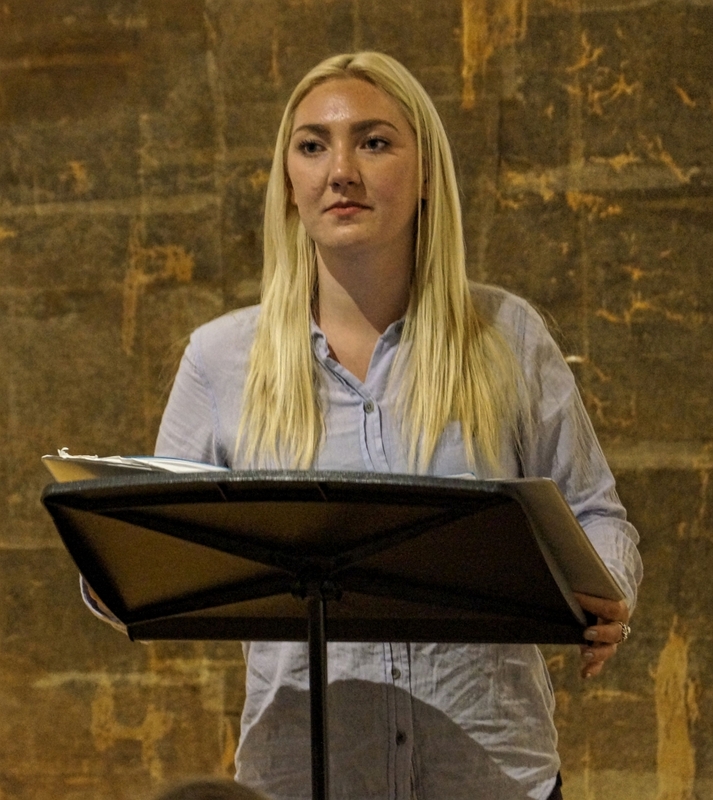 The reading is part of UCSB’s LAUNCH PAD Summer Reading Series, which brings professional playwrights to the campus to work with Brainin, guest artists and students to develop new plays. “Bad Touch” is the third and final production of the series. 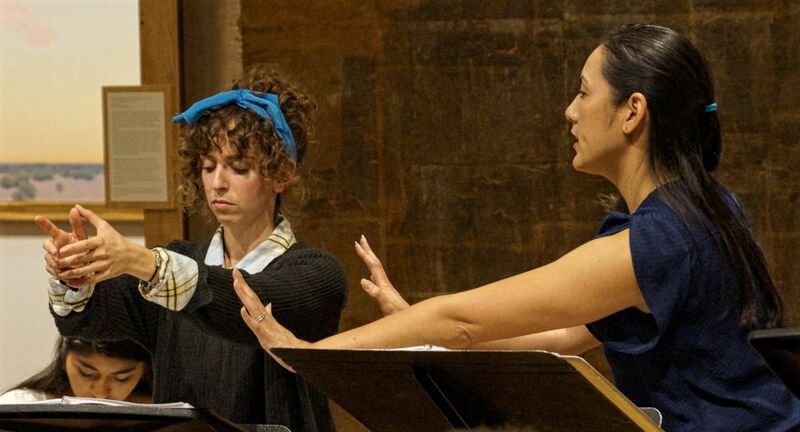 For Brainin, LAUNCH PAD’s artistic director, the opportunity to collaborate with Oates comes 21 years after directing the author’s “Tone Clusters” at the Guthrie Theater in Minneapolis. The production was Brainin’s introduction to Oates and to her work, and she was hooked. “One of my favorite books was ‘We Were the Mulvaneys,’ ” she recalled. “For many years, I fantasized about asking Joyce if she wanted to turn it into a play, but never did.